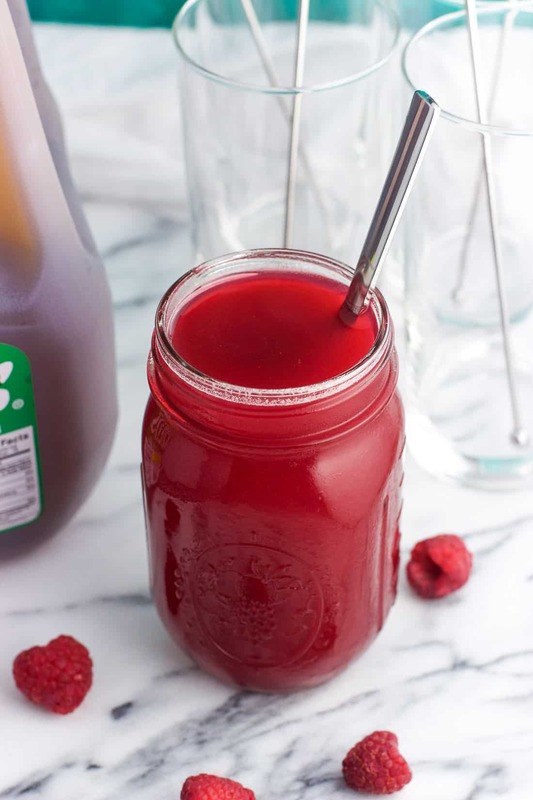 This honey raspberry iced tea is an easy way to serve up a warm weather favorite to a crowd! 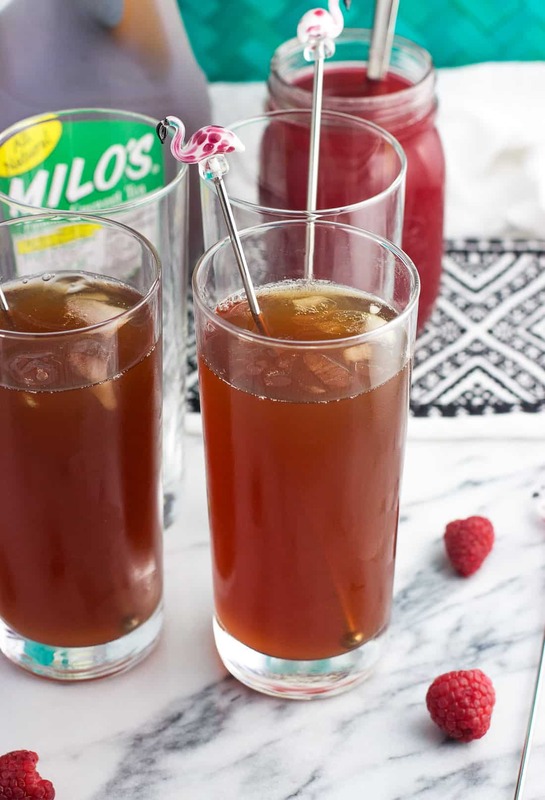 Milo’s Tea is combined with a honey-sweetened raspberry simple syrup to allow everyone to sweeten and flavor iced tea to their liking. Even though the weather has felt like summer for some time now, it’s ‘game on’ now that Memorial Day weekend is behind us. Never mind the fact that it’s not even officially summer for a few more weeks, which is only a formality for us here in the southern U.S. Schools are out, the A/C is on, and all I want to do is grill. 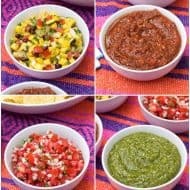 So ’tis the season (the other season) for entertaining – outdoor entertaining. Ever since my husband and my father-in-law built us a picnic table, I’ve been antsy for the weather to warm up to invite friends and family over for BBQs. 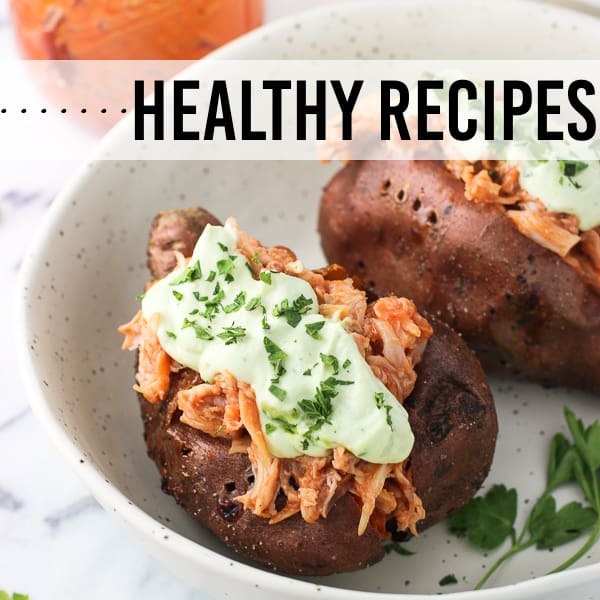 We’re all a bunch of foodies so our get-together menus vary, from grilled pizzas to steaks to classic hamburgers and hotdogs. 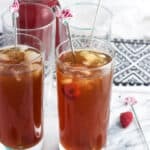 One thing remains the same though: iced tea will be served, and I’m thinking this honey raspberry iced tea will be a staple this year! It’s a fun and fruity Milo’s Tea and simple syrup combo that will ensure everyone’s drinks are sweetened and flavored to their liking. That’s valuable when serving a crowd. Milo’s Tea is fresh brewed, features natural ingredients, and doesn’t include any preservatives or added acids. 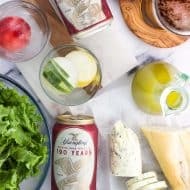 It’s THE beverage for summer meal entertaining and get-togethers, and is available sweetened with pure cane sugar, no-calorie, and unsweet varieties. When it comes to this honey raspberry iced tea, I’m partial to using Unsweet Milo’s Tea. 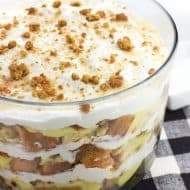 Since our crowd varies greatly when it comes to iced tea sweetness, from those who like just a smidgen of sweetness (my mom) to those with a sweet tooth (my husband), serving a simple syrup alongside allows everyone to mix it up how they like it. Whether they like their iced tea with one tablespoon of syrup, two, three, or more…no judgment here! Have you seen Milo’s tea in your local stores? 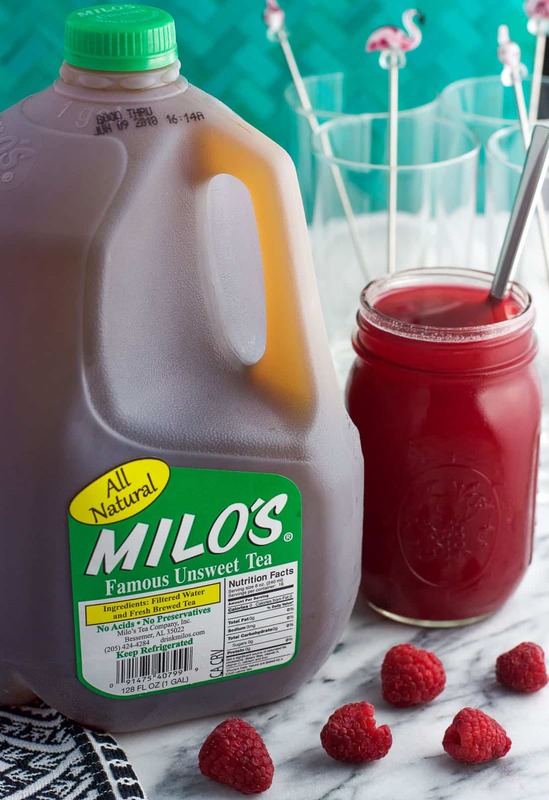 Milo’s Tea Company is a third-generation family-owned, certified woman-owned business located in Bessemer, Alabama. 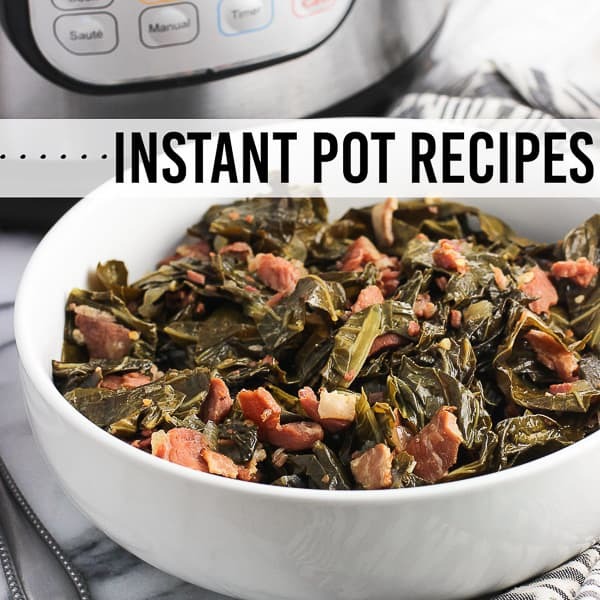 It’s grown from selling their fresh brewed Famous Sweet Tea in 1989 in Birmingham, Alabama grocery stores to currently selling in thousands of retailers across the United States. 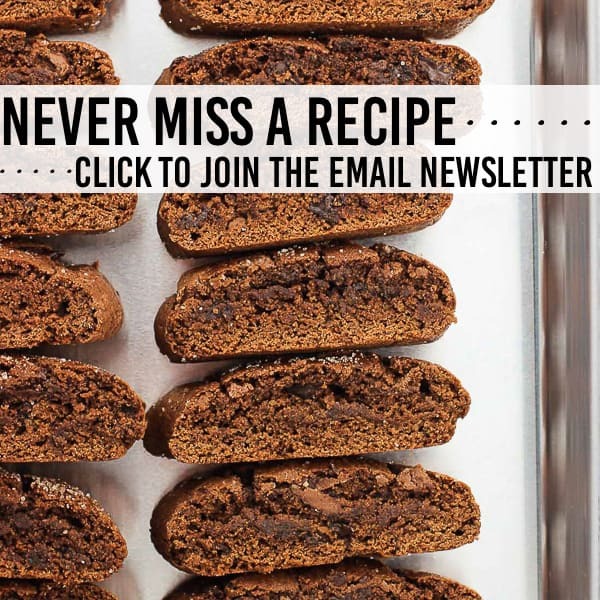 From the start, its guiding vision of sourcing only natural ingredients and never using colors, acids, additives, or preservatives has stayed true across all of their offerings. Just take a look at the simple ingredient lists on their juices and teas! I found Milo’s at my local Kroger in the refrigerated juice section, but they’re available in lots of retailers. Find a store near you by using the store locator. So! 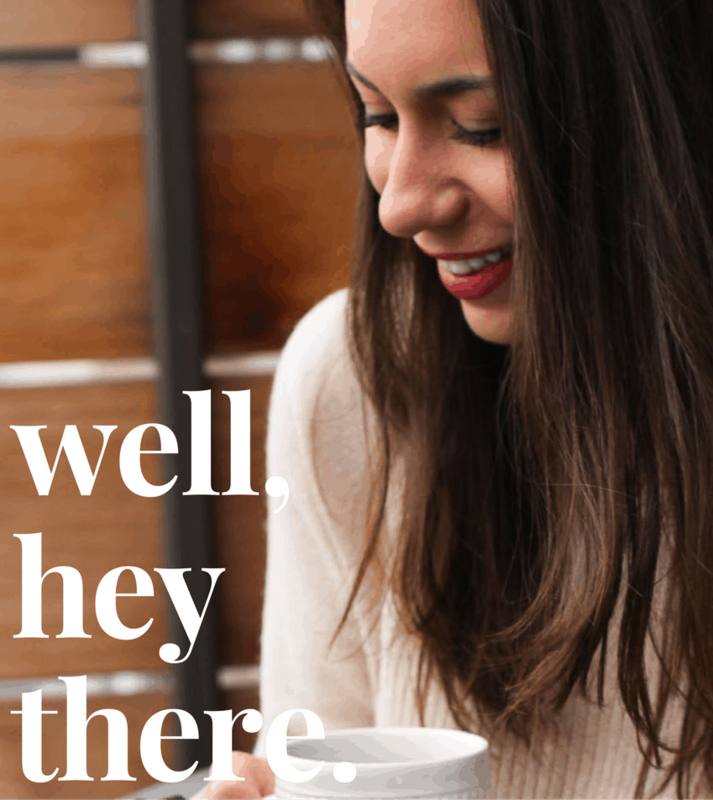 With Unsweet Milo’s Tea as the award-winning base to this summer sipper, let’s talk about the simple syrup. Simple syrup is the way to go when it comes to sweetened iced tea and cold beverages. Granulated sugar doesn’t dissolve well at all when added to cold things, leaving you with a gritty iced tea. Not good. 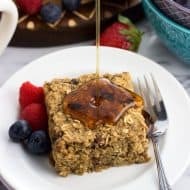 Since a simple syrup is made by dissolving sugar in simmering water and then chilled, you won’t have any grittiness to worry about. I tweaked the standard 1:1 ratio of water and sugar to replace half of the granulated sugar with honey. 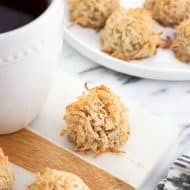 You’ll still get plenty of sweetness along with a honey-kissed bit of flavor that we love in iced teas. Fresh raspberries are also simmered and muddled in the syrup for a concentrated burst of fruit flavor. All of the flavors complement each other so well for a balanced bit of flavor and sweetness that lets the delicious taste of Milo’s Tea shine through. 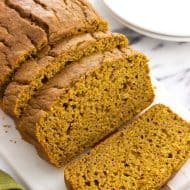 The simple syrup can be made several days in advance of serving. Just store in the refrigerator. 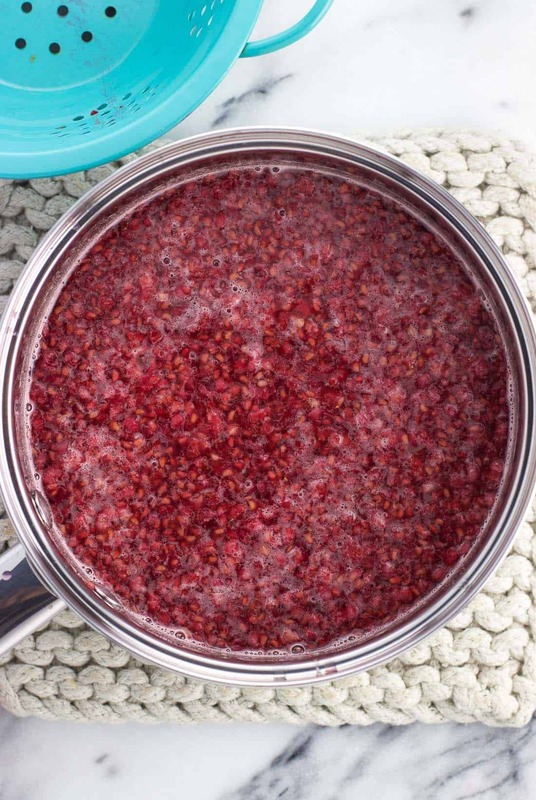 Be sure to pour the simple syrup through a strainer to filter out the raspberry bits and seeds. I’d start by stirring about one to two tablespoons of the syrup into your glass of tea and seeing if you’d like to add more from there. 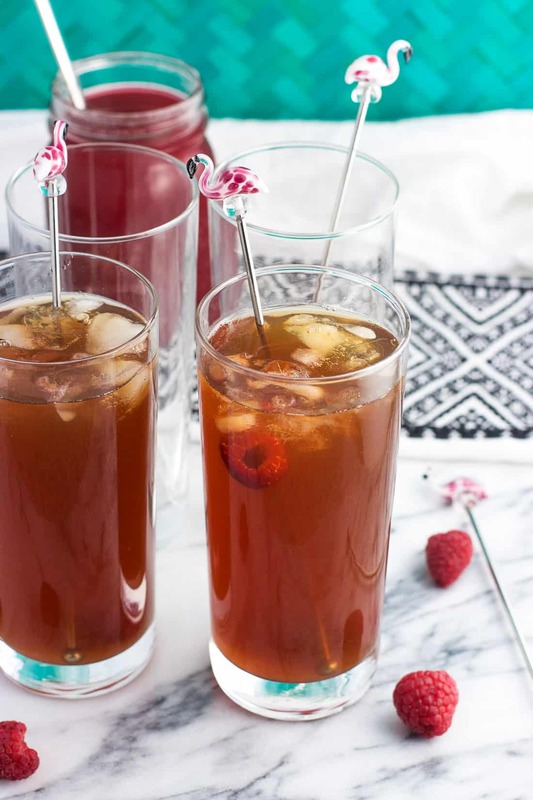 This honey raspberry iced tea is an easy way to serve up a warm weather favorite to a crowd! Iced tea is combined with a honey-sweetened raspberry simple syrup to allow everyone to sweeten and flavor iced tea to their liking. Add water, sugar, and honey to a medium saucepan set over high heat. Bring mixture to a boil, stirring occasionally. 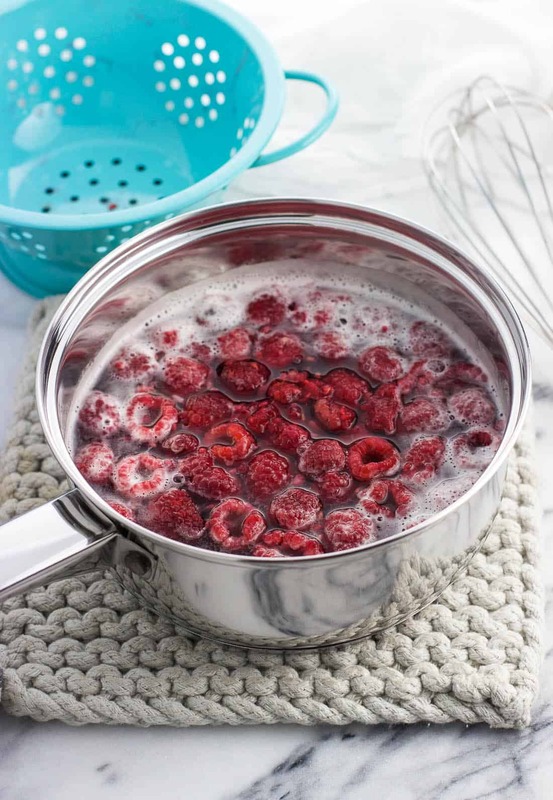 Remove saucepan from the heat and add raspberries. Muddle and mash raspberries using the back of a wooden spoon or a potato masher (the top of a meat tenderizer also works). Let mixture steep for at least an hour. Once steeped, pour honey raspberry syrup through a fine sieve, pressing the raspberries into the sieve with a spoon so as to extract as much of the liquid as possible. Store syrup in the refrigerator. Pour Milo's Unsweet Tea over ice and stir in your preferred amount of syrup.